In the current marketing landscape, social media is an integral piece of the figurative puzzle. After all, Facebook, Twitter, Instagram, and other social media platforms allow users to easily engage their audience, while providing them with the opportunity to gain traction and vie for the attention of the mass amount of online viewers that are out there. This is especially important for business owners, who should know about the significance of social media in 2014. It can effectively help a company increase their business, and allows them to communicate with both potential and current customers. 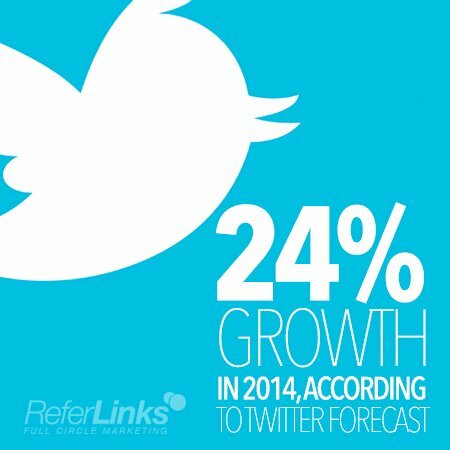 With social media being so crucial in today’s marketplace, it should really come as no surprise that Twitter’s user base is expected to grow by 24.4% this year, according to a recent forecast released by eMarketer. The Twitter user base in the US tends to get a significant amount of attention, since company reports showed that they accounted for nearly three quarters of Twitter’s total ad revenues in 2013. However, according to eMarketer, there has been a big rise in Asia-Pacific Twitter users. In 2014, eMarketer’s estimates show a Twitter user share of 32.8% for Asia-Pacific Tweeters. When compared to North America, showing a user share of 23.7% for 2014, the results are fascinating- especially when you consider that China is excluded, since Twitter usage is currently banned in that country. The experts at eMarketer are estimating a continual Twitter usage climb for Asia-Pacific users, forecasting that they will more than double North America’s share in 2018. Emerging markets, such as India and Indonesia, are expected to continue showing consistent growth in 2014. With many internet users active in these countries, eMarketer expects India and Indonesia to have the third and fourth largest Twitter populations in the world in 2014- they predict 18.1 million users for India, and 15.3 million users for Indonesia. As the years go by, Twitter continues to grow across the world. To read more about eMarketer’s forecast, click here. This entry was posted in Social Media and tagged Micro Blogging,Online Marketing,Social Media,Social Media Marketing,Twitter,Twitter Growth,Twitter Growth in 2014 on June 17, 2014 by ReferLinks Online Marketing.